Following the wide praise of their debut single Josef, which grabbed the attention of the Huffington Post, the Daily Mirror, Yahoo OMG, and Digital Spy, BERLIN BERLIN return with another sky-scraping single, Be Here. A glorious paean to faith, devotion and love, Be Here is another huge indicator of the band’s ability to write stadium-sized, heartfelt pop – and shows why the band were quickly invited by Google to shoot a video session in London for the internet giants. The video from the session will be published on the week of the single’s release. BERLIN BERLIN’s mantra is ‘dark beauty on epic scale’, and their sound is immediate, vast and driven, combining brooding 80s/90s electronica with contemporary rhythms – to fashion something truly vast, life-affirming and euphoric. The band is: Jonny Holland (vocals/keys), Stuart Winnington (guitar/keys) and Jordan Hunstone (drums). 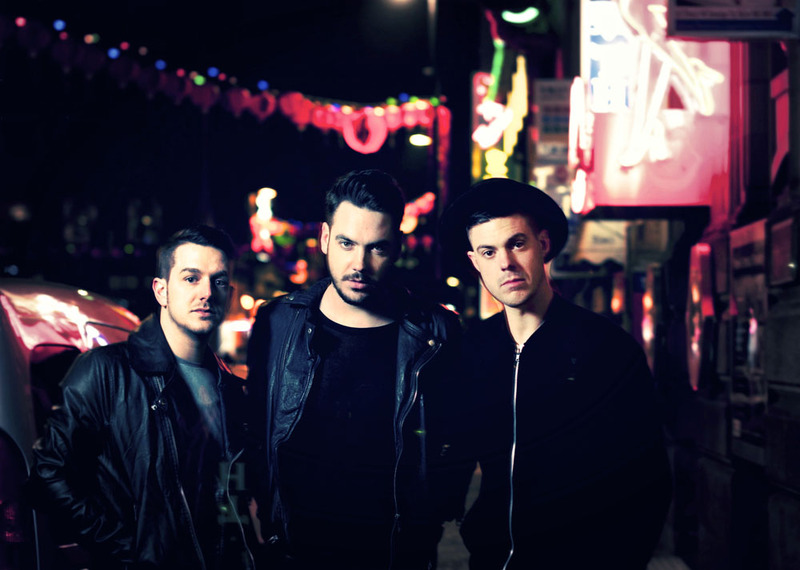 They signed to Manchester’s MUK Records in January 2014. ‘Stay’ is the emotionally charged follow up to 2012’s ‘Breakdown’ and was mixed for radio by world renowned engineer Cenzo Townsend (Vaccines, Maccabees, U2, Snow Patrol, Editors et al). Taken from the forthcoming album The World, The Flesh & The Devil (Feb 25th), ‘Stay’ is Influenced as much by Springsteen and The Doors as they are by contemporary artists like The Temper Trap and The Killers, Darktown Jubilee’s core resonates with a fundamental knack for melody, timing and simplicity. “Stay is the most emotionally direct song on the record and has always connected with audiences so it became an obvious choice when we were considering singles. It was a dream to get Cenzo to remix it for us. He has mixed some of the greatest records of the last 10 years and I think brought out the best in the track, bringing to it an increased energy and dynamic range”.